Find the goal that fits your genes and start getting after it, with GoalGetter. Discover your genetic markers for a variety of goals. GoalGetter will recommend the goal with the greatest potential for positive impact based on your DNA. Optimize your diet by discovering your genetic potential for sensitivities to lactose, caffeine, and gluten. Knowledge is power. 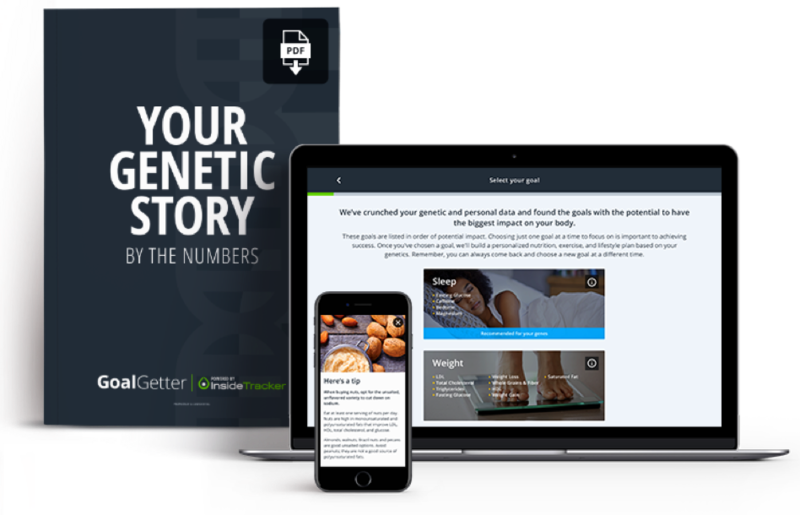 In addition to the GoalGetter online platform, you’ll receive a downloadable e-book, Your Genetic Story: By The Numbers. 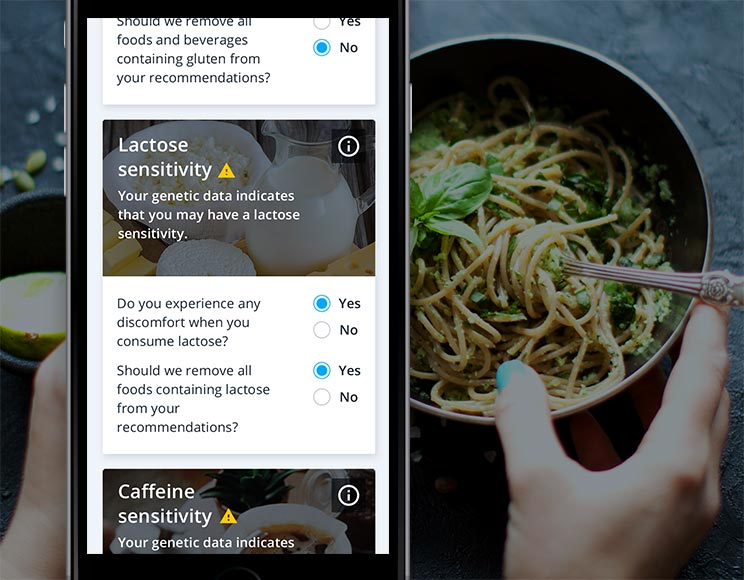 It features a personalized analysis of your genetic potential for weight, sleep, healthy aging, performance, and food sensitivities. Reveal your body’s potential with a personalized action plan that provides DNA-based nutrition and actionable recommendations to get you to your goal. Your body is full of potential. But what does your DNA say? Our intelligent software reveals the goal that’s most relevant for your body and tells you how to achieve it, based on your personal habits, preferences, and biology. GoalGetter will recommend a fitness strategy with the greatest impact based on your DNA. Receive a personalized Action Plan based on your personal habits, preferences, and biology. Optimize your diet by discovering your genetic potential for sensitivities to certain nutrients. Learn what effect your genes have on your weight, sleep, aging, performance, and food sensitivities. Your wellness and performance goals are influenced by a wide variety of factors. Some of those factors involve your genes. 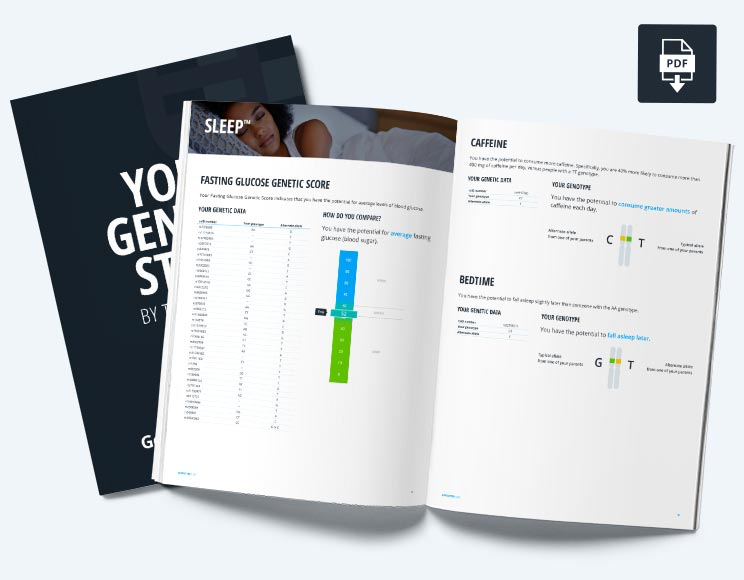 GoalGetter analyzes the genes associated with each goal to help you determine the best way to optimize your body. 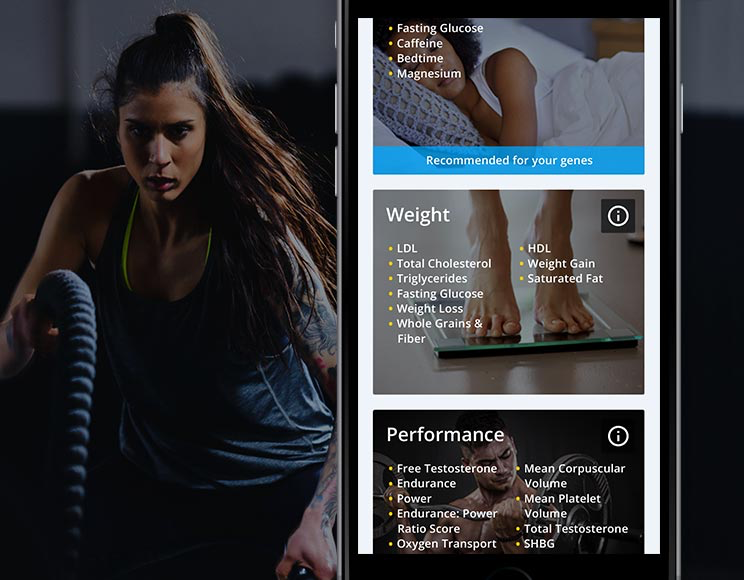 GoalGetter analyzes the genes that influence glucose, cholesterol, response to carbohydrates, inflammation, and saturated fat metabolism to determine your genetic weight potential and create actionable recommendations for you. GoalGetter analyzes the genes that influence vitamin B12, vitamin D, calcium, liver enzymes, inflammation, glucose, blood pressure, and white blood cells to find out how your genetics may affect your aging. Plus, get recommendations on how to age as healthy as you can base on your DNA. You’re mobile and so is GoalGetter. Access the experience anytime, anywhere, on any device, including your phone, tablet, laptop, or desktop. Keep your goal in mind with your personalized GoalGetter action plan in hand. Make changes, update your preferences, and log achievements with ease. No extra fees, no upgrades to unlock, and always there for you. Your weight, sleep, performance, aging and food sensitivities are determined by a combination of genetics, lifestyle choices (such as diet and exercise), and a number of other factors. Genetic variants related to these traits may help you understand yourself better, but they do not guarantee that you will or will not be successful with any given plan. Your genetic profile may help you narrow in on a plan that you might prefer or find more successful than others, or even give you a better understanding of your existing preferences. Everyone, regardless of their genetics, will benefit from healthy behaviors. Our understanding of how genetics influence weight, sleep, performance, aging and food sensitivities will change over time. 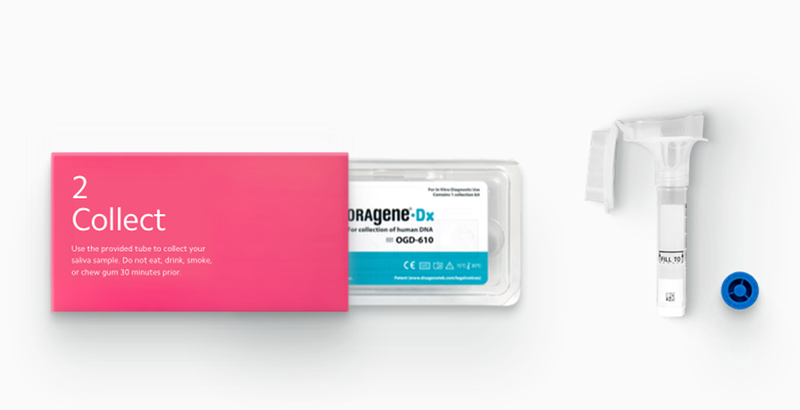 Order GoalGetter and Helix sends you a DNA collection kit, which includes everything you need to get sequenced. 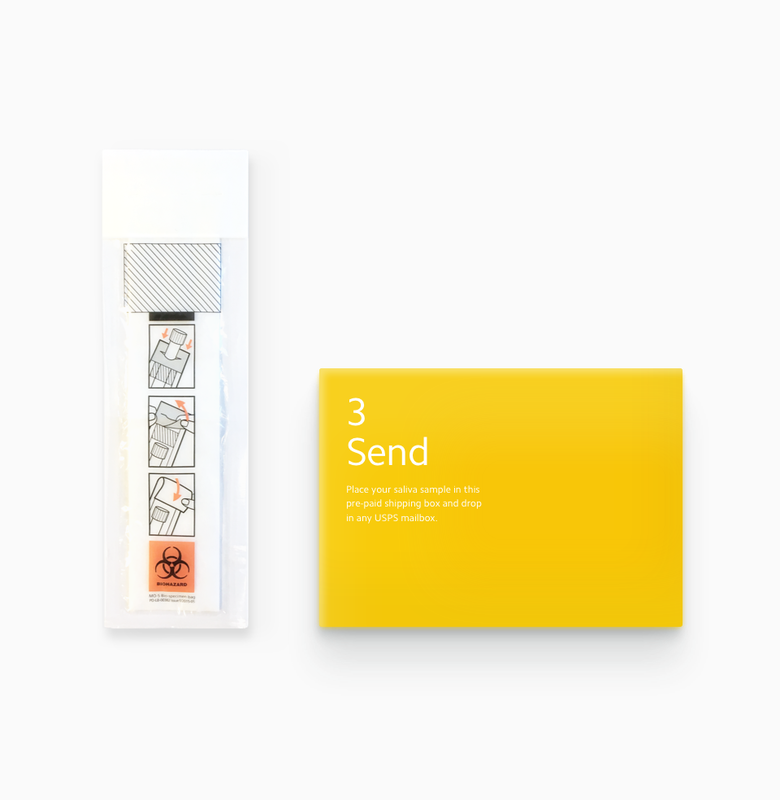 After Helix sequences your DNA from your saliva, you’ll get an email from InsideTracker to view your results when they’re ready. InsideTracker is an innovative health analytics company whose mission is to empower people to improve their wellness and performance through science, quantification, and personalization. Founded by leading scientists from MIT, Tufts, and Harvard, the InsideTracker platform analyzes key biomarkers related to wellness, performance, and longevity, and provides actionable guidance tailored to each user. 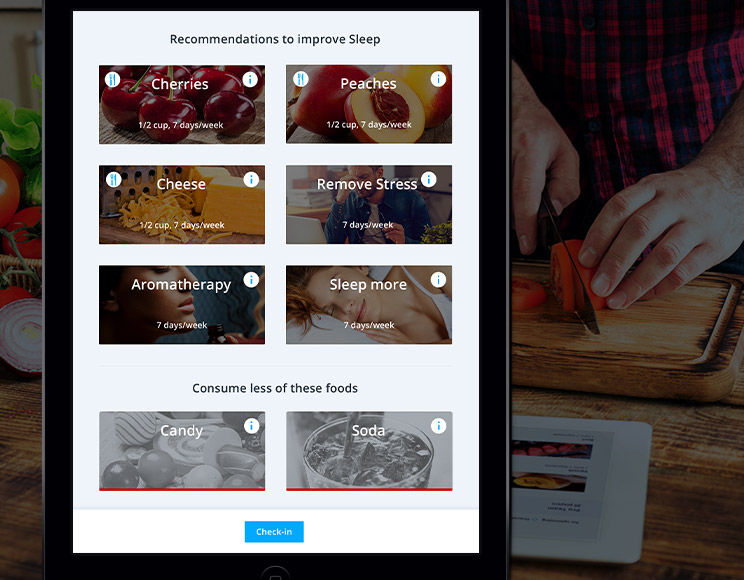 InsideTracker’s technology delivers simple and accessible, ultra-personalized nutrition and lifestyle interventions people can use to improve their wellness and achieve their goals continuously. No. 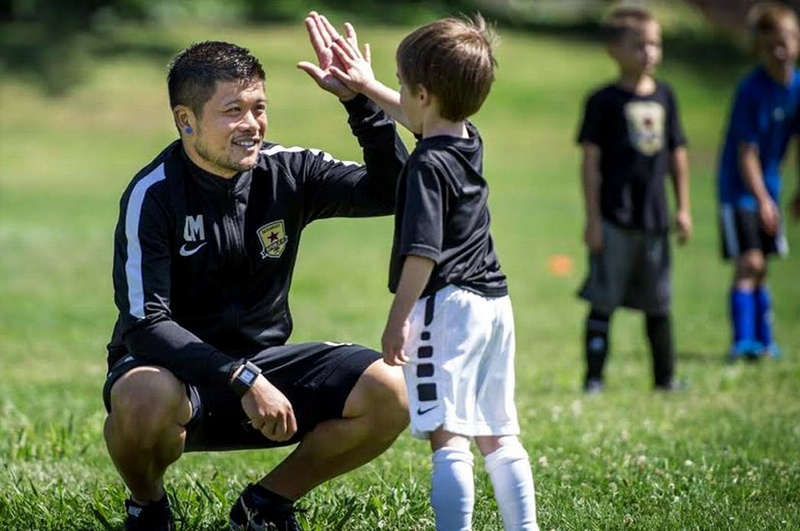 You can access GoalGetter by logging in from any desktop or laptop computer, or any mobile device. 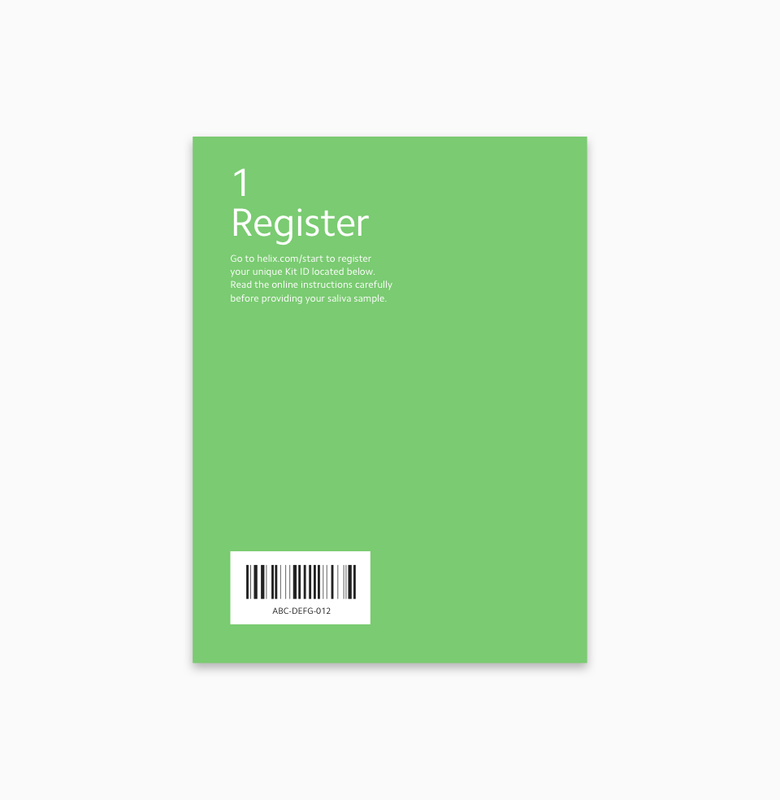 You can also download your personalized Genetic Story: By The Numbers as a PDF document. Yes. In order to use GoalGetter by InsideTracker, you need to be sequenced by Helix. To ensure the quality and accuracy of the genetic information used for this service, products in the Helix marketplace do not accept genetic data from outside sources. And, once you’ve been sequenced by Helix, you can purchase more DNA-powered products from a variety of categories like fitness, nutrition, entertainment, and more—all without having to get sequenced again. InsideTracker will send you an email when your results are ready to be viewed on the GoalGetter platform online.